552 p., 17,2 x 24,4 cm. The ›Askêmata‹ documents Shaftesbury‘s ›Study of Happiness‹, the practice of a philosophical life. It was written for the most part in times of outer and inner withdrawal from public life. Epictetus and Marcus Aurelius are omnipresent as role models. 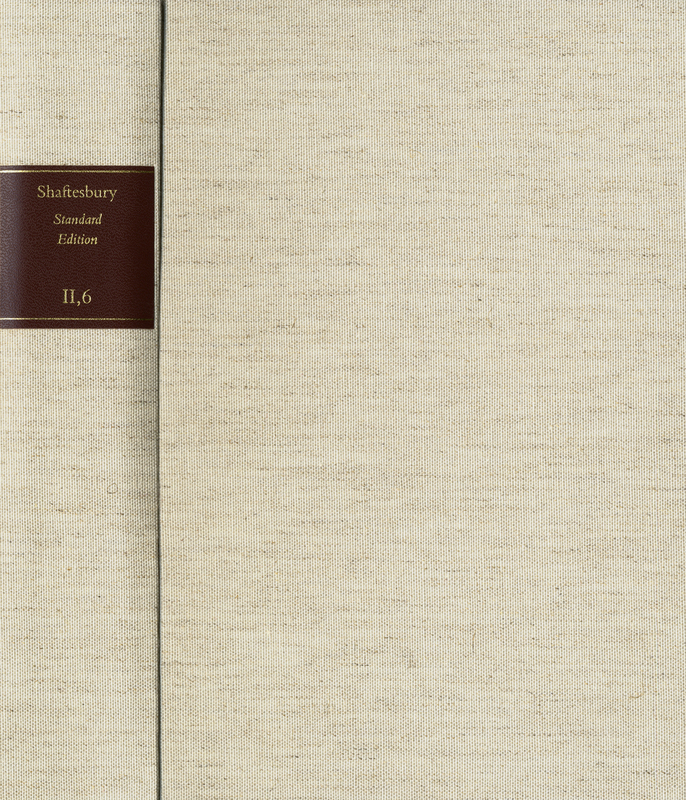 By means of philosophical self-analysis, Shaftesbury tried to find a fundamental philosophy which focused on the essentials and of which only the practical implementation could lead to virtue, to real happiness. This is the first edition of the completely critically-edited text. In addition to an introduction and annotations there is additional previously unpublished material in the volume.